Yamaha Thailand at the 33rd Thai Motor Expo has launched the Yamaha Aerox 155 in Thailand. The automatic scooter was first unveiled in Malaysia in October 2016, where it is sold under the name Yamaha NVX 155. 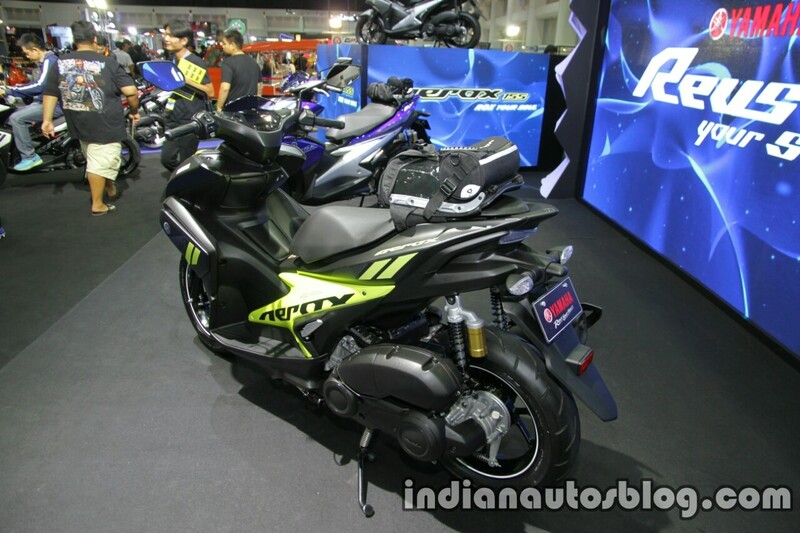 Other markets where the Aerox 155 is retailed include Indonesia, Vietnam and the Philippines. The design language in the Yamaha Aerox 155 has a clear resemblance with the MT series of motorcycles. Features include a 25 litre storage, LED headlamp and taillamp, fuel tank lid placed on the central tunnel, mobile charging point, 140 mm and 14 inch rear tyre, and a digital instrumentation. A special Yamaha Aerox 155 R has also been introduced which gets petal disc in the front and a gas charged sporty rear suspension. An ABS enabled version is also available which gets a smart key and start/stop system. A smart key system helps the rider to use just 1 key for the scooter, be it for accessing the under seat storage or fuel tank lid. The start/stop system will help in increasing the fuel efficiency. 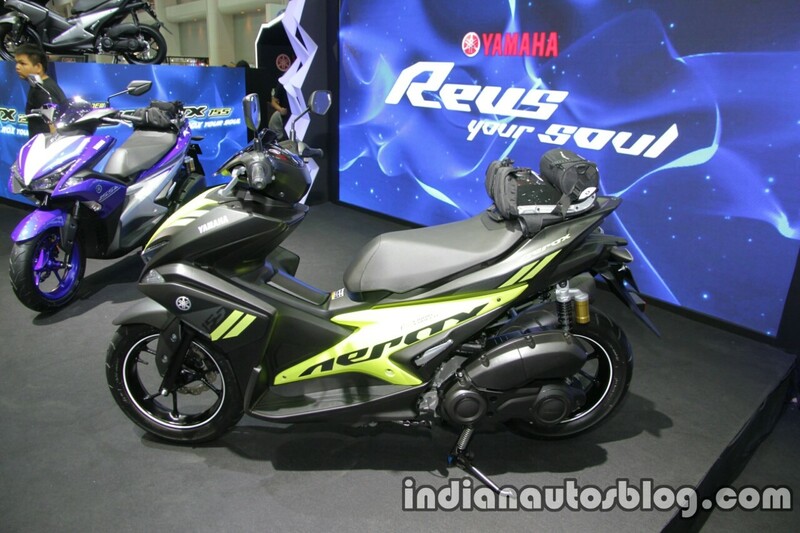 The Yamaha Aerox 155 has a ground clearance of 140 mm and a seat height of 790 mm. The standard version tips the scale at 116 kg, R version at 117 kg, while the ABS trim weighs 118 kg. Powering the Yamaha Aerox is a 155 cc single cylinder, water cooled, SOHC Blue Core engine which produces 15.09 PS of maximum power at 8,000 rpm and 14.4 Nm of peak torque at 6,000 rpm. The scooter also gets Valve Variable Actuation (VVA) to get optimum power delivery at low, mid as well as high engine rev. The Yamaha Aerox 155 is priced at 63,900 Thai baht for the standard version, 66,900 Thai bhat for the R variant and 73,900 for the ABS model.